Welcome to the CVMA family!! We are an Association of Combat Veterans from all branches of the United States Armed Forces who ride motorcycles as a hobby. Our mission now is to support our fellow Combat Veterans: each other, members of the Association and others who have defended our country and our freedoms. We work to help veteran care facilities provide a warm meal, clothing, shelter, guidance or simply to say "thank you" and "welcome home". CVMA membership is made up of Full Members (those with verified combat service) as well as Support Members (those who have non-combat military service) and Auxiliary Members (spouses, widows and widowers of Full Members and Support Members). CVMA has members in all 50 states and abroad, with many members continuing to serve in our nations Armed Forces. 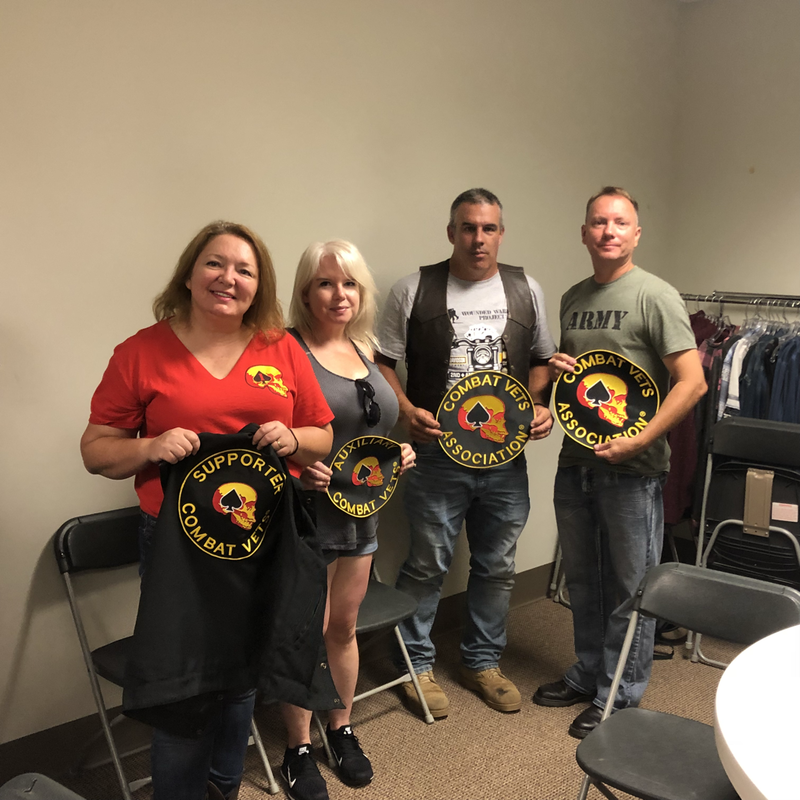 CVMA sponsors and/or participates in multiple motorcycle related charity events each year and as a non-profit organization donates to various veteran care facilities and charities. Please consider donating to Alabama Veterans in need. Anything you can give will help us support them. Any person whose exercise or enjoyment of rights secured by the Constitution or laws of the United States has been interfered with, or attempted to be interfered with, may institute and prosecute a civil action for ﻿injunctive and﻿ other appropriate equitable relief including the award of compensatory monetary damages. The Supreme Court ruled in the case of Cohen vs. California, 403 U.S.15 (1971), that individuals have the constitutional right under the First Amendment to wear clothing which displays writings or designs. In addition, the right of an individual to freedom of association has long been recognized and protected by the United States Supreme Court. Thus, a person's right to wear the clothing of his choice as well as his right to belong to any club or organization of his choice is constitutionally protected, and persons or establishments who discriminate on the basis of clothing or club memberships are subject to lawsuit.